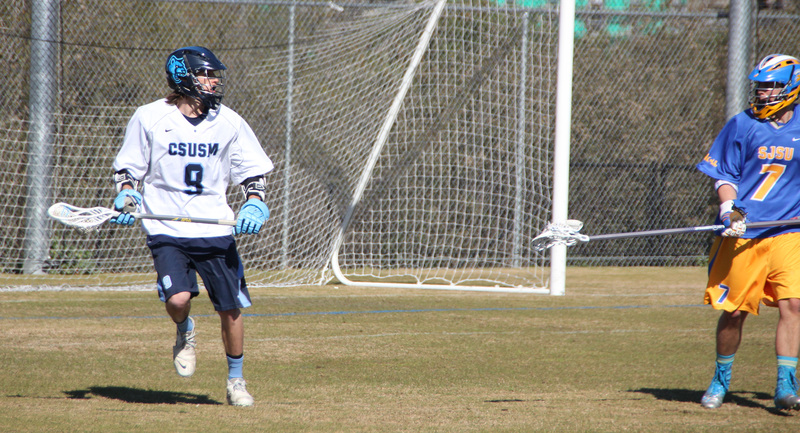 The Cougars got started fast and within the first 2 minutes of the game, Attackman Dylan Perry buried two quick goals off of fast break opportunities. Kyle Skachenko added another goal to take an early 3-0 lead. Both teams then exchanged a pair of goals to end the first quarter at 4-1. During the second quarter, a streaking Spartans offense quickly brought the score to 6-4. Coach Hicks quickly called a time out as San Jose started to gain momentum, leaving San Marcos scratching their head. With the team gathered, the Cougars headed back on the field with a new game plan and quickly took back control. The Cougars buried some quick goals at the end of the second and again early in the third and never looked back as they were able to take control of the second half and finish the game with a 13-8 victory. 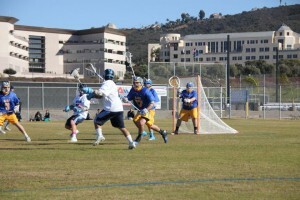 The Cougars will continue to defend their undefeated season as they take on CSU Channel Islands this weekend. The Dolphins will be traveling to San Marcos to face the Cougars on March 2nd at 2:00pm.